The Magic Farm 2 modpack is a third-party modpack assembled by JadedCat for Minecraft 1.6.4. This modpack is very different from most of the official FTB packs, with a focus on survival, exploration and a strong sense of progression through the entire tech-tree. 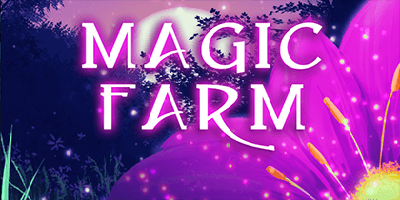 Magic Farm 2 is an overhaul pack, making extensive use of Tinkers' Construct tools and Iguana Tweaks for all your basic tools, and HungerOverhaul making general survival much harder. Boosted mob difficulty from Infernal Mobs and Special Mobs as well as a more violent environment with Deadly World ensure surviving is an ongoing challenge. The biggest difference is that all Vanilla Minecraft tools are effectively useless, except for the Wooden Shovel. The main source of tools in this mod is Tinkers' Construct, which is also different from most other packs thanks to Iguana Tweaks. As a result of these two mods, there is a very strict early and mid-game progression of basic tools, notably on mining tools. The materials you can use for tools have also been drastically cut back in order to further the progression. A large number of tools must be made completely out of metals, requiring a smeltery and a tool forge. Most notably is the Mattock, the only way of producing farmland to grow crops, an essential part of this pack. Pam's Harvest craft and Hunger overhaul have drastically changed farming. Once you've acquired a full metal mattock (any metal) you can start farming, however almost all farmable items have been modified slightly. Most crops do NOT need to be pulled out of the ground when fully grown, instead just right clicking the grown plant restarts its growth and drops a crop item. Machines and entities that normally tear up crops like MFR or Golems will still do so. Almost all seeds for crops can be acquired by crafting a piece of the finished crop on its own in a crafting grid. Other than these two changes farming is much the same, and there are mod solutions to assist in automation. With Special Mobs, Infernal mobs, Deadly World and Gravestone mods in the pack, you can expect to see many different varieties and much more of the mobs you are used to. All of these add variations of normal mobs and spawners, letting you end up fighting zombies with fishing rods, skeletons that can turn invisible and more. Most of the added mobs have additional items in their loot tables though rewarding you for the relative risks of fighting them. This page was last modified on 3 April 2019, at 11:04.